Al Hilgendorf never intended to start writing songs for praise and worship, but as a volunteer worship leader at Agape' Christian Church in Kalamazoo, MI, he found it increasingly time consuming and frustrating trying to find new music that fit the criteria he had established for music at Agape'. 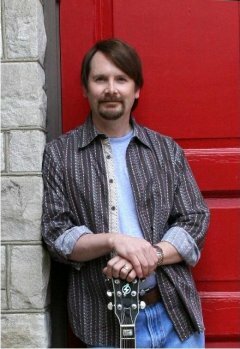 He began writing and introducing his songs to his home church in 2005 and they quickly became congregational favorites. His acoustic driven rock style calls to mind Paul Baloche, Chris Tomlin, or Tommy Walker and fans of Phil Keaggy or Lincoln Brewster will find plenty of guitar on his recordings. But more than that, Al hopes that worship leaders will find a lyrical depth that will help engage congregations in authentic "spirit and truth" worship. Al has led congregations both contemporary and traditional in worship for over 25 years and has also played guitar and sang in various rock and jazz ensembles. He started EverydayPraise Records and EverydayPraise Publishing in 2006 to produce and administer his music. He lives with his wife Carolyn in Kalamazoo, MI.